Age: It went live on June 16th 2002, making it over 15 years, 9 months old. 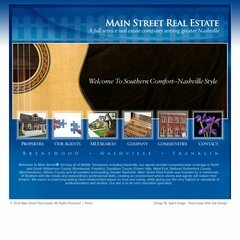 2mainst.com For Nashville Real Estate, Brentwood Real Estate, and Franklin ..
Its IP Number is 38.119.86.101. It is hosted by Ionet Inc (District Of Columbia, Washington,) using Apache/1 web server. PING (38.119.86.101) 56(84) bytes of data.